The Outdoor GreatRoom Company™ is pleased to announce the newly designed Brooks Fire Table. The modern and rich look coordinates with almost any color furniture. 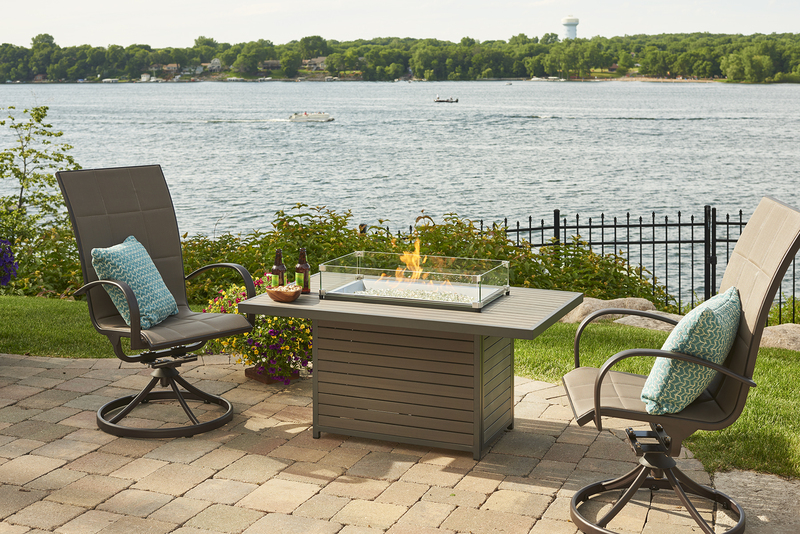 The Outdoor GreatRoom Company™ is pleased to announce the newly designed Brooks Fire Table. 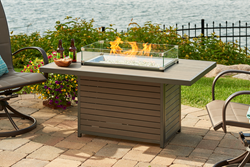 The Brooks Fire Table features a unique, elevated 12x24” Crystal Fire™ Burner. The burner is made from stainless steel and is UL listed for safety. The table top and base are made from an easy to care for composite decking in a warm grey tone. The modern and rich look coordinates with almost any color furniture. The table is lightweight, but sturdy and durable for outdoor use. It also conceals a 20 lb. LP tank in the base or can be hooked up to natural gas.